There's a lot of misinformation being spread about what the Detroit auto show is really about, just look at Chris Harris's last article about how he believes Detroit is a dead and worthless city. I'm here to explain what has changed in the last 8 years; the last time I believe Chris Harris attended NAIAS. With the Jalopnik Kart 2 Kart event coming up, here are a few tips to improve your time. The idea that you need a Porsche Cayman or an exotic sports car to start tracking your car is false. Here's why, because you won't ever push your car to the limit, and there are two reasons why that's a true statement. 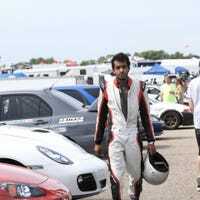 I was given the opportunity to run Road Atlanta with Global Time Attack and could use a bit of help. After reading this article figured i'd write one up of my little experience. Do you enjoy road racing? Good, I do too. What do I do to improve my skills in the cheapest and safest way possible? Go karting. It might seem silly but Kart 2 Kart in Sterling Heights Michigan is one of the best places (In SE MI) to go to fine tune your skills.